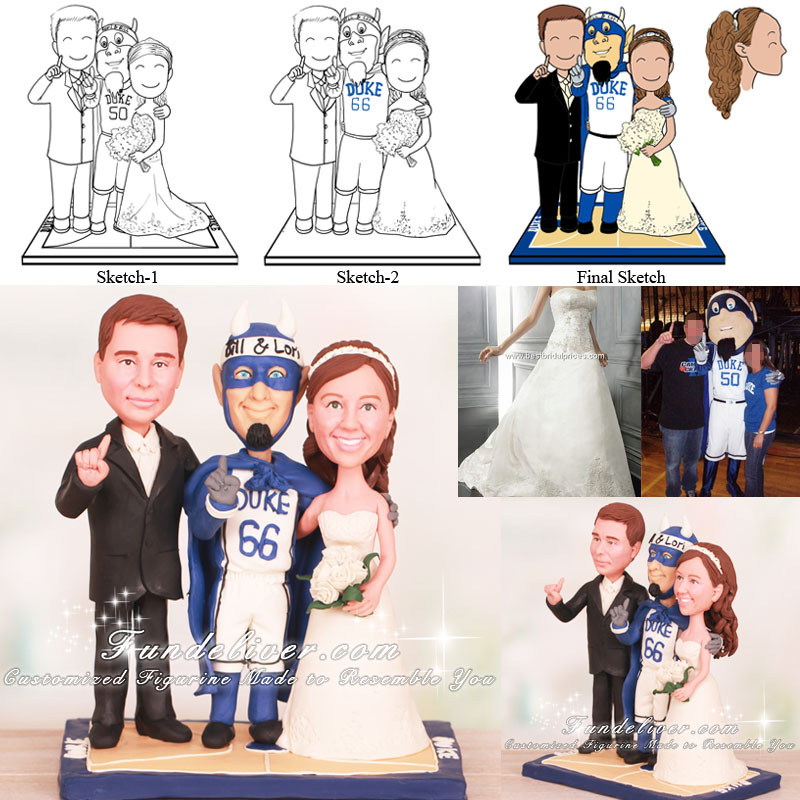 This is a completely customized Duke Blue Devils basketball wedding cake topper ordered by one of our customers. They would like the bride to be holding an ivory bouquet, wearing an ivory wedding dress, her hair to be up with long curls hanging in back with a pearl and rhinestone headband. The groom is wearing a basic black tux, no tails, ivory shirt, ivory vest, and ivory straight tie. He is holding up finger in #1 position. 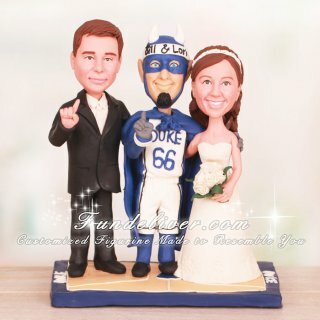 They would like to add the Duke Blue Devil in the middle of them, holding up the #1 finger, just as the groom’s hand sign. For the base, they would like it to be modeled as the Duke University basketball court.